Do you love your pet? Is he/she the tireless, faithful, companion that always brings a smile to your face no matter how much other things get you down? Well you, and they, are the lucky ones. Thousands of poor defenseless animals are abandoned, put to sleep and die at the roadside every week. Here at BARC we rescue and re-home hundreds of animals like these every year but we cant do it without the kind support of animal lovers like you! We know that the public are heavily targeted by advertising campaigns from innumerable good causes but the truth is most people DO NOT donate to animal charities due to their lack of ability to campaign in the high profile manner others do. Its not that other causes aren't as good, I know they are, but actually what proportion of good causes are directed at animals. I'll tell you - less than 5%. Which is why stray cats and dogs are common place, with no-one to care for them. Left to fend for themselves, many are killed in road accidents, starve to death as they cant fend for themselves or simply die from disease. Which brings me to why I'm sending you this message. ...Could you find it in your heart to donate 25 pence per week to BARC so that we can continue our battle against cruelty? Begging is not our style but please consider this meager request of £1 per month. We have over 300 members on Facebook, if only half were to contribute, that would still be over £150 per month - the equivalent of two additional dogs rescued per fortnight! 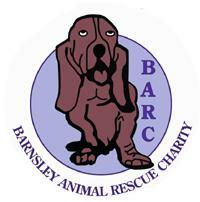 If you are still reading this and wish to help us with our mission please visit our website at www.barnsleyanimalrescue.org.uk and click the 'Join Us' link on the navigation bar. Here you can download a copy of a standing order form and contribute as much or as little as you like. Remember, as a famous firm once said, "Every little helps!" Please help us to continue our fight against cruelty and abandonment.